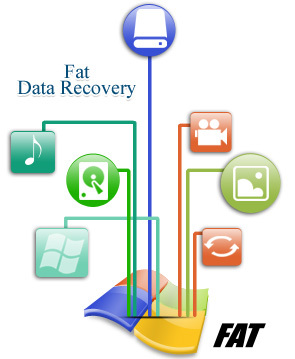 FAT data recovery software is safe easy and non-destructive utility to recover all missing deleted files and folders from FAT16, FAT32 file system. Restore data lost due to formatting the disk partition drive, overwriting your data and other similar logical error. The software works with all major hard disk manufactures including Maxtor, Samsung, Seagate, IBM, Fujitsu, Toshiba, Quantum, Hitachi and other hard disk brands. This easy to use partition recovery utility get back your lost data from emptied recycle bin or files and folders deleted using shift+delete keys. Similarly restore virus infected, encrypted and compressed files and folders or data from previously existing partitions. The data recovery algorithms used in the software makes sure that you recover every bit of lost information. The functionality is very easy to use and does not require any technical training to operate the software. Data recovery support to damaged corrupted partitions in all system crash. 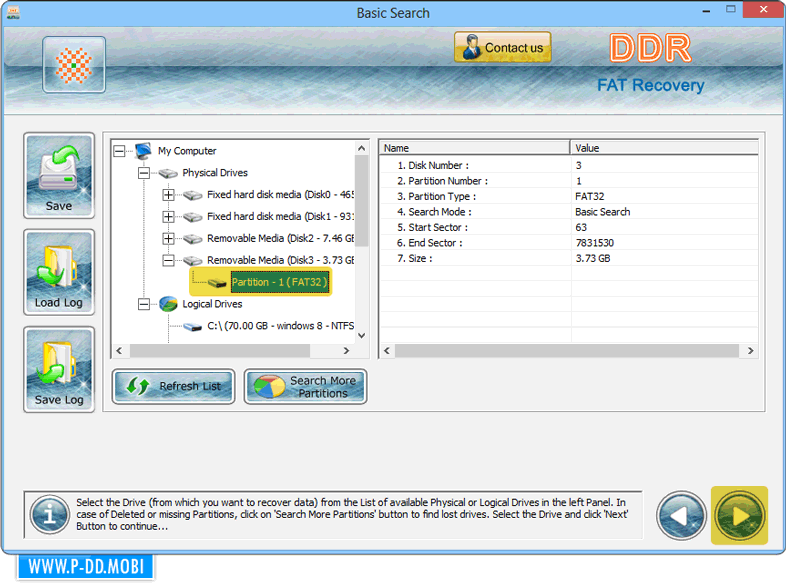 Data recovery support from previously existing partitions. Restore encrypted and compressed files and folders. Support to all major Hard disk manufacture namely Seagate, Samsung, Maxtor and more. Recovers data deleted accidentally by empting recycle bin or deleting files and folders using shift + delete keys. Retrieves data support to bad sectors infected drive. The software is helpful in computer Forensics (scientific analysis of the data). Fully support recovery of long file name.